Every year, it seems they’re among the best in the state. The Archbishop Wood High School girls basketball team rolls through the season every year gobbling up championships along the way. In the past 12 years, the Vikings have made it to the Palestra, the site of the Catholic League semifinals, 11 times. They’ve won two Catholic League championships and seven District 12 championships and have played for a state championship eight times, winning five of them. The reason that the Vikings have been so successful is that they always seem to get strong classes into the school. And while the underclassmen certainly help keep the tradition alive, they usually depend on the senior class to carry the weight of the program. This year, when the Vikings advanced to Catholic League championship game, won the city championship and won two games in the Class 5A state playoffs, they did so on the strength of a strong senior class. Next year, the senior class consists of one player: Somerton’s Lindsay Tretter. Being the only senior on the team means Tretter is going to have to be the one whom all of the other players look up to. It’s also a responsibility she is more than ready for, and she’s starting early, handing out praise to her younger teammates. “I know being the only senior on the team means I have to be there for everyone,” said Tretter, who went to St. Christopher’s Elementary School. “This year, we had a great senior class, and I tried to be a leader this year because I know next year I have to do it. I learned a lot by watching good leaders here. 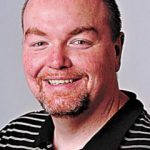 This year was a good one for the Vikings, but it wasn’t a championship one. Wood finished 9-3, which was good enough for third place, in an extremely balanced Catholic League. The Vikings then qualified for the playoffs and knocked off Cardinal O’Hara and Neumann-Goretti in the playoffs before falling to Archbishop Carroll in the championship game. The Vikings then downed Palumbo in the city championship game and knocked off Springfield-Delco and Mechanicsburg in the state playoffs before once again losing to Carroll. In fact, three of Wood’s five losses came to the Patriots, who advanced to the Class 5A state championship before falling to Chartiers Valley. Tretter also proved to be a great team player during the year. She was a starter when the season began, but missed some games after she got banged up a little bit. When she returned, she came off the bench, and just like she did last year, when they called her number, she went out and gave it everything she had. The move made the Vikings even stronger so she was happy to remain in the role of sixth man as Wood made its move in the playoffs. Next year, she’s ready for whatever role the team has for her. That workmanlike attitude is the same approach she takes to school, where she ranks in the top 10 percent of her junior class and is a member of the National Honor Society. 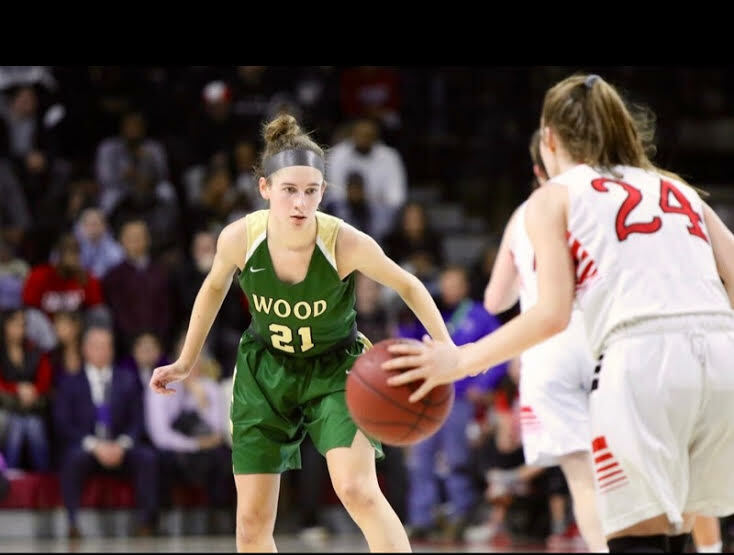 Now that basketball season is over, Tretter could spend more time hitting the books, but she has big plans to improve her hoops game and help Wood get even better next year. She goes to Somerton a few times a week with her younger sister, Lauren, who will be a freshman at Wood next year. It will give Tretter a chance to improve her game while working on those leadership skills by working with younger Vikings.